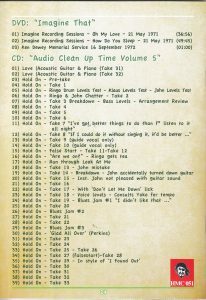 TMOQ Gazette – Volume 39 Contains Previously Unreleased Audio Video Material. 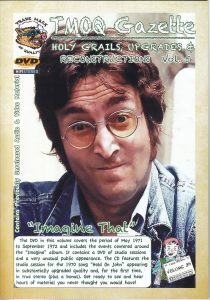 The DVD in this volume covers the period of May 1971 to September 1972 and includes the events centered around the “Imagine” album. 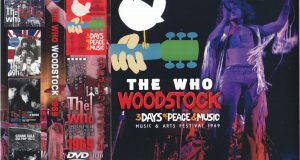 It contains a DVD of studio sessions and a very unusual public appearance. 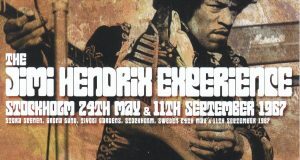 The CD features the studio session for the 1970 song “Hold On John” appearing in substantially upgraded quality and, for the first time, in true stereo (plus a bonus). Get ready to see and hear hours of material you never thought you would have! 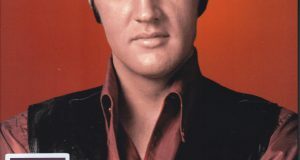 2-12 Hold On John – Take 8 -If I Could Do It Without Singing It, It’d Be Better…. 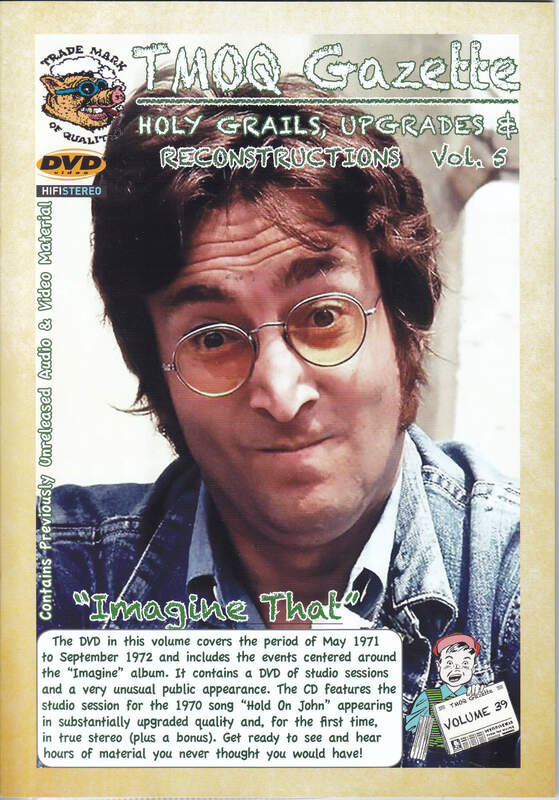 Finally, the Lennon ‘Holy Grails’ series continues, with another DVD + CD set. The visuals, again, we’ll consider that we’ll never have believed we’d see. Around 90 minutes of session outtakes footage from ‘Oh, My Love’ and ‘How Do You Sleep’ along with a rare minute of extra material. The CD completes the ‘Love’ sessions that we have the first part of (On Vol. 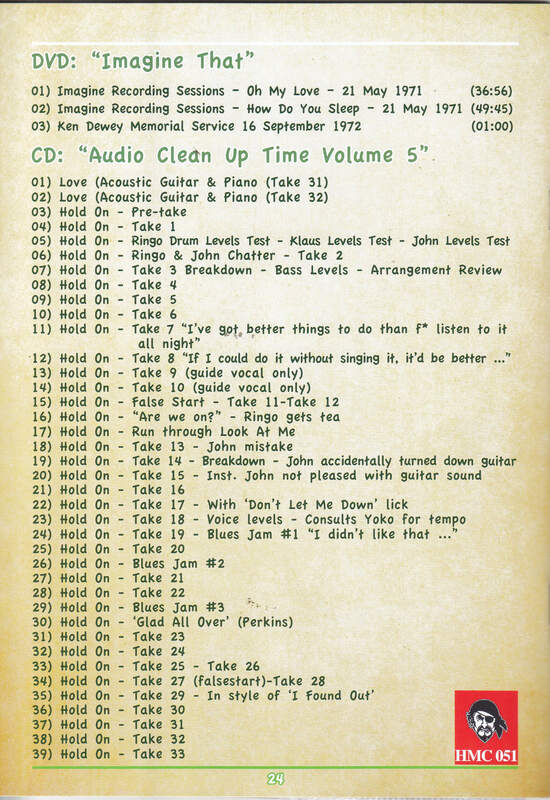 4), the rest of the material is the upgraded stereo audio session for ‘Hold On, John’ from the ‘Imagine’ sessions.